Sergio's brings you the taste of Italy right to your door. With a slogans “Taste the difference” and “You Ring, We Bring” Sergio’s brings you the taste of Italy right to your door! 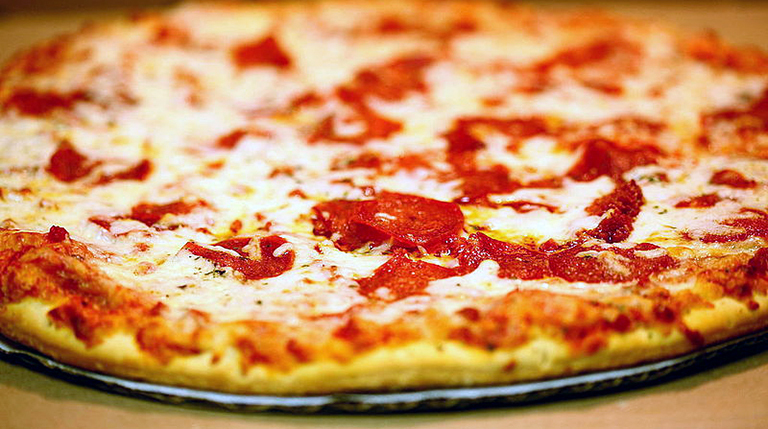 Thin and crispy crust, tasty tomato sauce, and fresh cheeses are a staple at Sergio Pizza. Customize your own pizza to satisfy all of your flavor cravings or choose from one of their delicious gourmet pizzas including their buffalo chicken with ranch, and their white clam pizza. At Sergio’s you can even choose the way you would like your crust prepared (Italian, regular, NY, or Sicilian). Try one of their new health wheat pizzas for a healthier crust with that same satisfying pizza taste! Sergio also serves burgers, hot dogs, club sandwiches, melts, salads, stromboli, calzones, quesadillas, house specialties, cheesesteaks and more; something for everyone. “Taste the difference” today and order Sergio Pizza for food that will satisfy your taste buds!